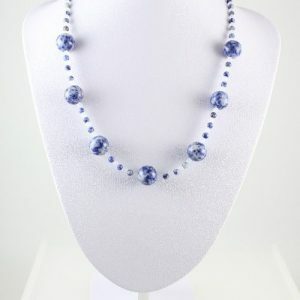 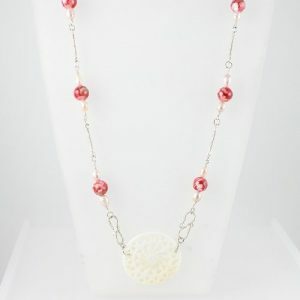 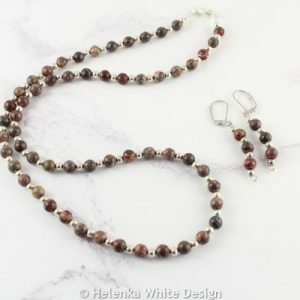 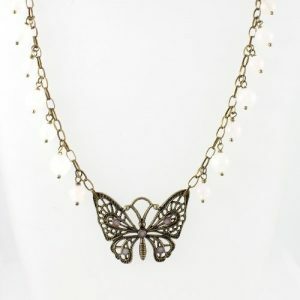 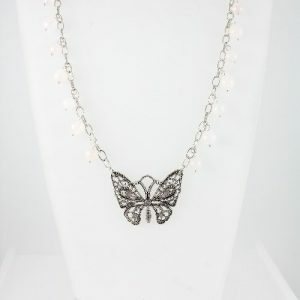 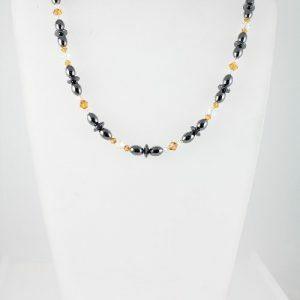 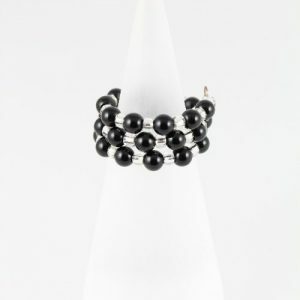 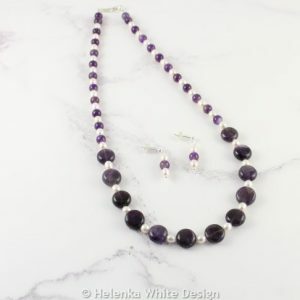 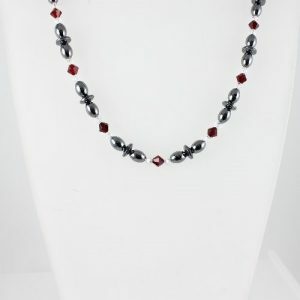 Handcrafted jewellery made with semi-precious beads. 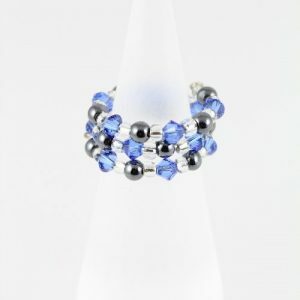 Here you can find jewellery handcrafted with semi-precious beads/pendants such as Lapis Lazuli, Tiger’s Eye, Turquoise and others. 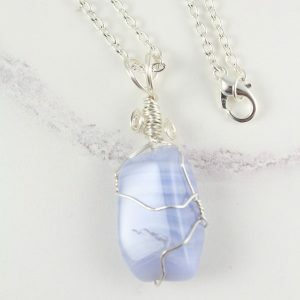 This beautiful blue lace Agate pendant has been wire wrapped with silver plated copper wire. 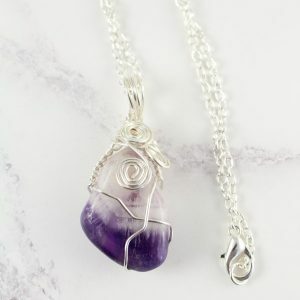 Beautiful Amethyst pendant handcrafted with silver plated copper wire. 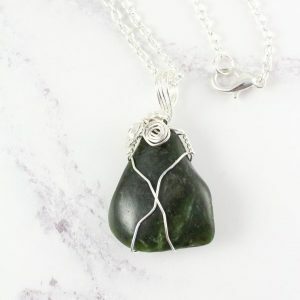 This pretty Nephrite Jade pendant has been handcrafted using silver plated copper wire. 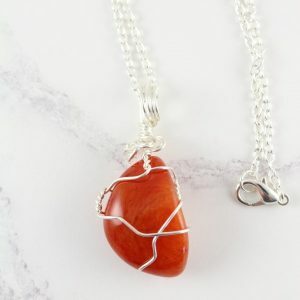 This gorgeous Carnelian pendant has been handcrafted with silver plated copper wire using the wire wrapping technique. 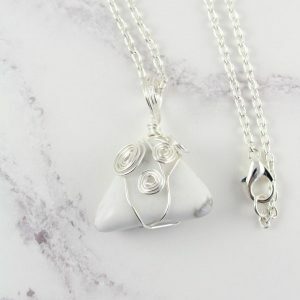 This pretty white Howlite pendant is handcrafted with silver plated wire using the wire wrapping technique. 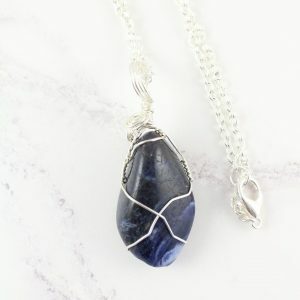 This beautiful Sodalite pendant has been handcrafted with silver plated copper wire using the wire wrapping technique. 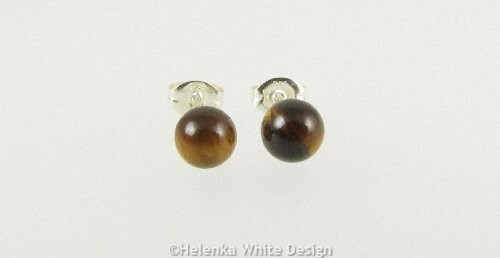 Tiger’s Eye Sterling silver studs – made with semi-precious Tiger’s Eye beads.